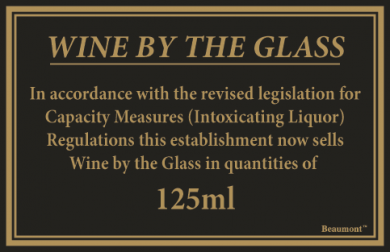 Wine By The Glass (125ml) law sign. Simple Black and bronze sign with a professional finish. Complete with double sided tape.